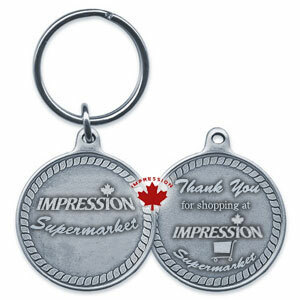 Shopping cart coin key chain with a new detachable and removable attachment for easy use with the shopping carts. This coin is lead free. Token - 1 $3.55 $3.10 $2.78 $2.43 each. Token - 2 $4.30 $3.80 $3.48 $3.18 each.